Irving Levin Associates, Inc. has just released the preliminary results of a new report, The Dental Practice Acquisition Report, First Edition. Driven by the initial public stock offerings (IPOs) of 11 newly formed dental practice management (DPM) companies in the past two years, the acquisition market for dental practices has soared, according to statistics compiled in The Report. Although acquisitions are scattered across the country, three states—Florida, Texas and California—dominated the activity with about 40% of the transactions during the 12-month period ended June 30, 1998. The transactions, however, are relatively small, as the top 10 deals in the most recent 12-month period ranged in price from $9.5 million up to $52.9 million. The Dental Practice Acquisition Report, First Edition, with approximately 100 pages, provides summary statistical information on the dental practice acquisition market as well as details on more than 150 specific transactions during the three-year period ended June 30, 1998. 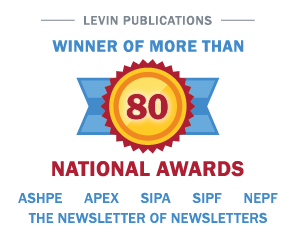 Irving Levin Associates, Inc. is the premier research and publishing firm tracking merger and acquisition activity in the health care and seniors housing markets. To purchase The Dental Practice Acquisition Report, First Edition, at a cost of $395, please call (800) 248-1668. Second quarter merger and acquisition activity in Health Care Services remains robust According to Irving Levin Associates, Inc.